Some people think that Congress allowing farmers to grow hemp, the non-intoxicating cousin of marijuana, could diminish the stigma against pot legalization. ATTENTION, MARIJUANA fans: Don’t light up that celebratory doobie just yet. But a long pot-hostile Congress appears headed toward acceptance of a substance more states are deeming legal for medicinal and even recreational purposes. The 2019 farm bill includes language allowing farmers to grow hemp, a plant that is from the same cannabis family as marijuana but with just a trace of the tetrahydrocannabinol, or THC, that provides the “high.” And pot legalization proponents are optimistic that the next Congress, with Democratic control of the House and the departure of one of the chamber’s most ardent foes of legalization, will move on marijuana as well. “This farm bill is going to be a total game-changer,” says Stuart Titus, CEO of Medical Marijuana Inc. While hemp has important differences from marijuana, “I think this is going to be a tremendous step forward” in winning federal approval of marijuana use, he says. Michigan on Thursday will become the 10th state along with the District of Columbia to permit recreational marijuana use and the first in the Midwest. All the other states that have legalized the substance are on the coasts. Marijuana possession is still a violation of federal law in all 50 states and D.C., creating a source of tension between the deferral and state governments as the movement gains steam in state legislatures and in state ballot initiatives. Hemp has industrial applications, including in biofuels and construction materials, and is a source of both hemp oil – used as a vitamin supplement and for skin care, among other things – and cannabidiol, or CBD, an oil with more therapeutic purposes. Marijuana is a source of CBD, but the plant also contains THC. That substance, which is intoxicating, is also used to treat pain, glaucoma, muscle spasticity and nausea. 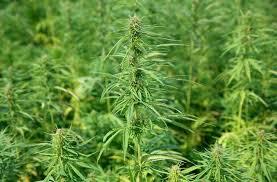 Both hemp and marijuana are classified as controlled substances under the law. The farm bill, which is undergoing final negotiations to reconcile the House- and Senate-passed versions of the legislation, would classify hemp as an agricultural product and remove it from the list of controlled substances. Hemp can be grown now only for pre-approved “research” purposes and not as a commodity. The farm bill offers no relief for would-be legal users of marijuana. But Titus and others believe that the agriculture bill is a first step in convincing Congress to consider marijuana not as a scary drug but as a relatively low-risk recreational intoxicant and therapeutic agent. The economic argument helped win support for hemp legalization. The provision was championed by Senate Majority Leader Mitch McConnell, a Republican whose home state of Kentucky is a source of hemp crops. Investors want to get in on the business, and marijuana legalization offers tantalizing tax opportunities for both states and the federal government, Hudak says. Most encouraging for backers of pot legalization is the changing political environment. Not only will Democrats run the House next year, but the chamber will not have anti-marijuana Rep. Pete Session, R-Texas, who was defeated in the midterms. Sessions, as chairman of the House Rules Committee, blocked legislation that would have protected states that have legalized marijuana for medical or recreational use. “We are very bullish on the notion that in 2019 and 2020 Congress is in fact going to take on a number of broader issues” loosening federal rules on pot, says Paul Armentano, deputy director of the National Organization for the Reform of Marijuana Laws, or NORML. Anti-marijuana lawmakers “have been replaced by members that are far more sympathetic,” he says. And given the importance of young voters to the success of any Democratic contender for president in 2020, it would be “political malpractice” not to campaign on legalizing marijuana, he says. “It’s not an outlier (of an issue) anymore,” says attorney Matthew Abel of Cannabis Counsel, PLC, a Detroit law firm dedicated solely to marijuana litigation. Abel supports the recently approved Michigan referendum that as of Thursday will allow legal, private use of marijuana in the Wolverine State for adults 21 and older.